(BUSINESS WIRE) — November 18, 2014 — MICA, My Intelligent Communication Accessory, designed by Opening Ceremony, engineered by Intel, connects fashion-forward women to text messages, Google™ and Facebook* notifications, and local business recommendations powered by Yelp* and TomTom. 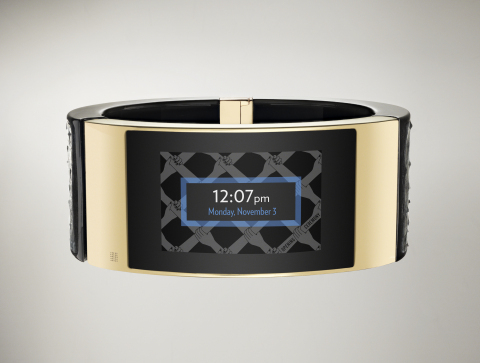 An intelligent bracelet composed of precious gems and Ayers snakeskin, MICA will retail for $495, which includes two years of AT&T* wireless data service provided by Intel. **Google, Gmail and Google Calendar are trademarks of Google Inc.